In the early morning hours of May 8th they came for James Robinson, age 32, a factory worker in Akron Ohio. According to friends who checked his home afterwords, they kicked in his door, took his computer, and his dog is missing. 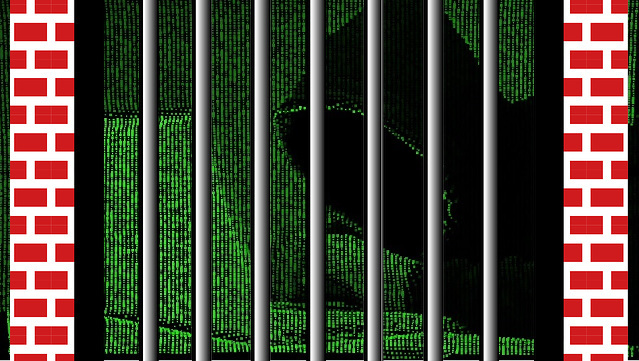 It was later discovered he was arrested for allegedly violating the computer fraud and abuse act(CFAA) by launching or participating in a distributed denial of service attack against websites belonging to the Akron Police Department. Robinson was held without a phone call or lawyer until today, May 15th, presumably in the maximum security facility in Youngstown, although at least one of the two lawyers attempting to locate him believed he was in the basement of the Akron Federal Building undergoing round the clock questioning. His location was unknown until he was seen at his arraignment in Cleveland today, and he has been remanded without bail to Youngstown. The Mayor of Akron was quick to tout the involvement of his local police goons in the arrest, holding a press conference and waving a Guy Fawkes mask, a symbol often associated with the hacktivist group Anonymous, for the cameras and bragging that Robinson was cooperating. This turned out to not be the case. This author also owns a Guy Fawkes mask, which can be purchased for under $10 at a number of retail chains. It is unknown if the Mayor purchased his at Wallmart or Hot Topic. We reached out to Akron Anonymous to confirm Robinson's membership in the loose collective organization. According to their spokesperson who goes by the nome de guerre Casper, “We know him and hung out with him, but he's not a hacker, and mostly worked on different projects.” According to Casper, in addition to work against police brutality, Anonymous Akron also distributes food to the homeless under a program they call #OpFeedtheStreets. It is rumored that Robinson may have been involved in human rights work for Anonymous in Nicaragua. Akron Anonymous members could not confirm his involvement in #OpNicaragua as none of them claim to speak Spanish. The FBI operated Robinson's twitter account for nearly 24 hours after his arrest. Tweets involving the phone company were sent. It is unknown how many direct messages were garnered by the FBI. Robinson is not charged with anything having to do with Nicaragua. He faces 10 years for a single felony count, followed by 4 years of probation in which he would not be allowed to have a computer or telephone and a $250,000 fine, all for a DDOS that allegedly slowed down a public relations website for a few hours. When Robinson appeared in court, his court appointed attorney, Donald J. Malarcik waved his right to a speedy trial and attempted to get Robinson to cooperate with the investigation. Witnesses report Robinson repeatedly shaking his head no. FBI agents immediately behind him openly mocked him loudly during the proceedings calling him “stupid” for talking on twitter laughing as he broke into tears. Attorney Malarcik did not utter a word in his defense as he was called a terrorist by the prosecutor and by FBI agents speaking out of turn in the courtroom in what amounted to cheap schoolyard bullying to get him to confess. The bullying, lackluster defense, being held incommunicado and now without bail combine to form the ties and tracks of something called a railroad, which appears to be happening to Mr. Robinson. The FBI also turned it's attention to Robinson's supporters in the courtroom, attempting to bully them into handing over their phones, which they did not as they correctly deduced the agents has not legal right to them. The supporters, which included one person in a wheelchair and a pregnant woman, were bullied as they attempted to take a group picture outside the courthouse. According to Casper this bullying by the police in and FBI in Cleveland is something the young activists are used to. “They stop and question anyone wearing a black hoodie or a Guy Fawkes T-shirt, they know all our names and are always on us.” Casper continued “There is just so much harassment someone can take.” This Author owns a Guy Fawkes tshirt. It was purchased at the Kroger on King and High as a gift by a friend for $7 in 2013. The Mockingbird has made a commitment to continue to cover Robinson's case and to do the necessary translations of documents to better understand the international implications and connections if possible. Anonymous Akron will be raising money for Robinson's legal defense and a point of contact for updates and donations will be posted in a separate story as soon as it becomes available. His friends are also still looking for his dog.